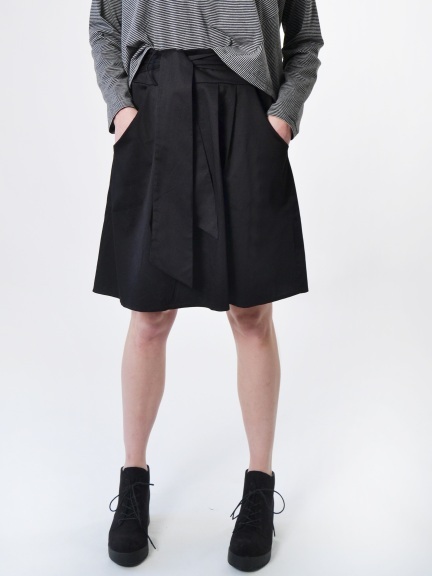 A-line skirt with attached self-tie belt. Small front pintucks at waist. Elasticized back waistband. Front hip pockets.